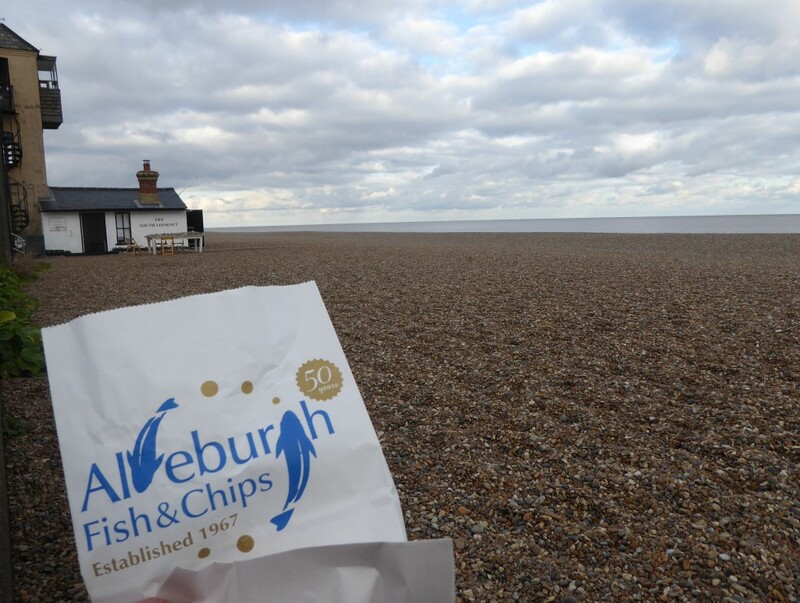 I love my visits to Aldeburgh and I was really pleased to see “Fish and chips at Aldeburgh” in the Suffolk’s Top 50 list that I am working my way through! Having eaten them several times before I started my Suffolk’s Top 50 challenge, I was looking forward to a re-visit just to make sure they were as lovely as I had remembered! If you Google images of Fish and Chips at Aldeburgh you will be inundated with delicious looking food and long queues outside the doors of both Fish & Chip shops in the high street – but yes they are worth the wait! Sitting on a bench enjoying my fish and chips! Owned and run by the same family since 1967, their fish and chips have been enjoyed by generations of families over the years and are regularly mentioned in the press. To avoid the queues I decided on a winter visit and yes perhaps its not the warmest of seasons to be sitting on the beach eating fish and chips but I enjoyed the experience none the less! 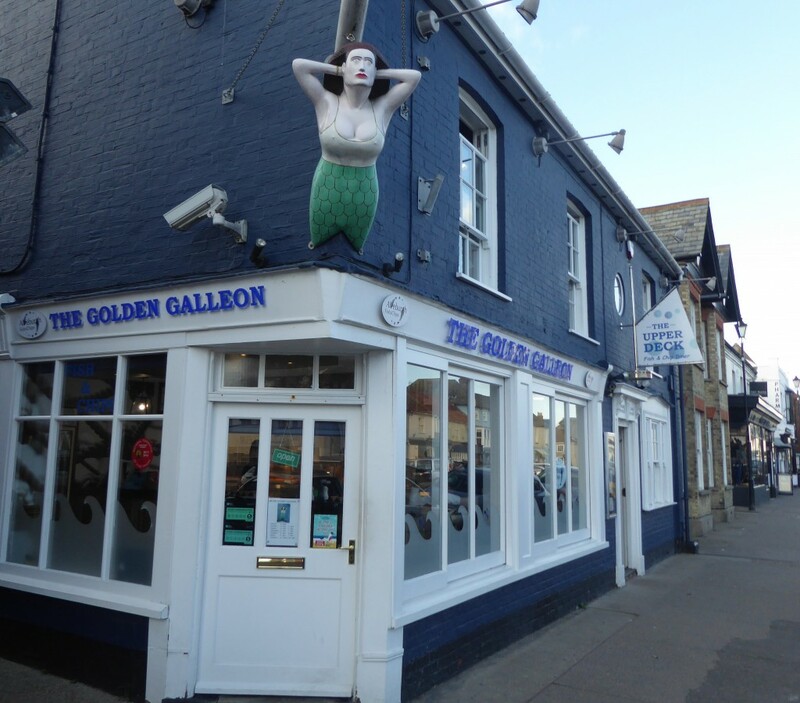 The Golden Galleon – and look no queue! There is something special about eating fish and chips on the beach – don’t you think? Even if like me you live here in Suffolk it seems like a real treat. My trip to Aldeburgh in my quest to complete the Suffolk Top 50 list was a great way to spend a cold winters day. Scoffing piping hot fish & chips smothered in salt and vinegar whilst enjoying the sound of the rolling waves of the sea and crisp blue skies I was really glad to have come out on a November afternoon for my Aldeburgh fish and chips! I even had time afterwards for a stroll along the beach! Not a bad view while eating lunch is it! Now for a walk along the coast…. 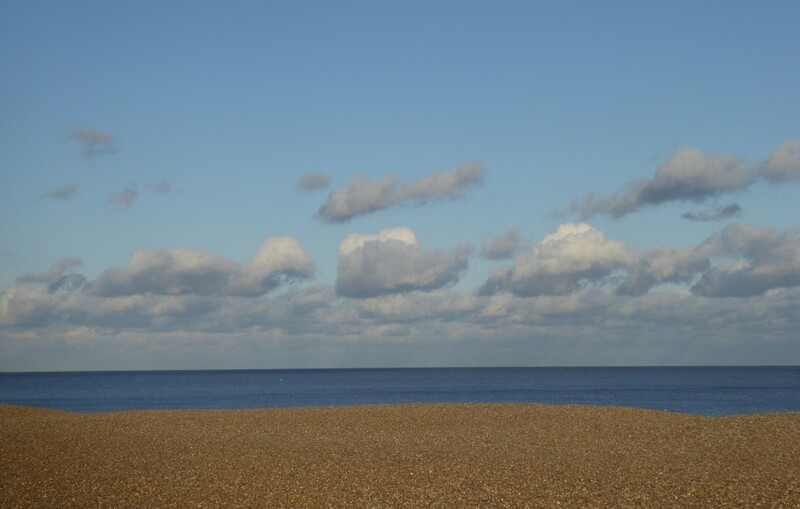 Aldeburgh is a great town to explore at any time of the year. Plenty to see and do and a great place to escape to for a couple of hours for some sea air and of course delicious fish and chips! 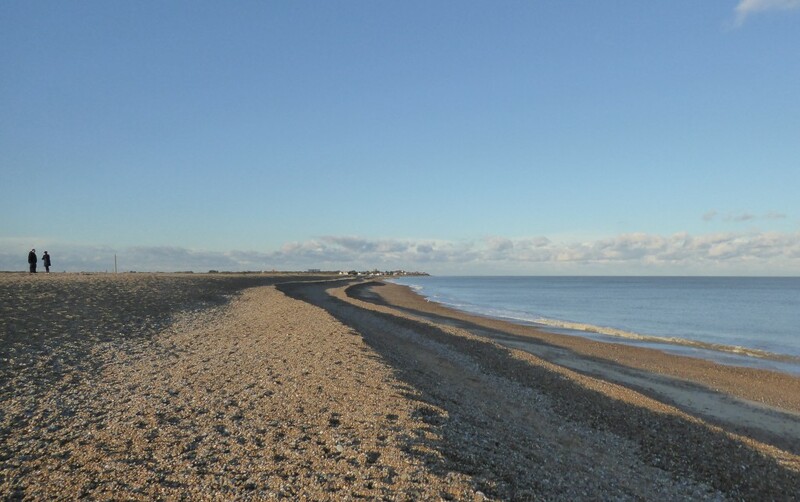 Top Tips – Expect long queues at peak times and seasons but aldeburgh is a lovely place to explore so you can always go back later when the queues are smaller. While eating you fish and chips keep an eye out for the seagulls! ← What is there to see at Hen Reedbeds?